Thanks to the Pacific Paratrooper for this omniseasonal message. | The mind is an unexplored country. You’ll find PP here. Take a stroll through his tales of the Pacific War – you’ll be glad you did. And for those of an airborne bent, there’s Deano’s blog too. 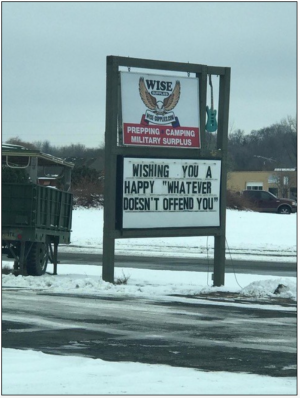 And the same to you, sir. I spent mine watching Band of Brothers – the Bastogne episodes to be specific.